Amazon Prime Video has renewed its John Krasinski-starrer action series Jack Ryan for a third season, several months before the show’s second season hits the streaming service. For what it’s worth, Jack Ryan season 2 was greenlit back in April last year, over four months before the premiere of the season 1 at the end of August. Jack Ryan season 3 will likely be set in a new location, continuing the show’s trend of setting each season in a different locale. The first season was set in the Middle East, while the second takes place in South America. Filming began on Jack Ryan season 2 back in summer 2018, which is scheduled to release later in 2019. Jennifer Salke, head of Amazon Studios, made the renewal announcement for Jack Ryan season 3 at the ongoing 2019 Television Critics Association winter press tour on Wednesday in California. No other details are currently available. Of season 2, Jack Ryan co-creator Carlton Cuse said that it will be “an allegory for the decline of democracy”, according to The Hollywood Reporter (THR), in what marks another attempt to be relevant and timely for the show. 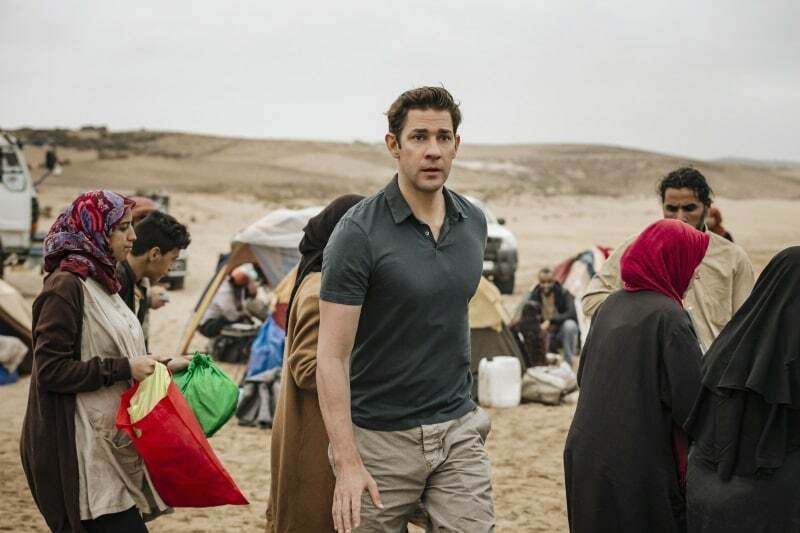 Jack Ryan season 1 was the same, as many of its plot points felt ripped from the headlines, reflecting the terrorist attacks in Paris and the Syrian refugee crisis. The first season was received moderately by critics, including us. We appreciated the show’s exploration of both sides of the story — the agency officers and the terrorists — and the focus on the struggles of the refugees, but it had a perfunctory love story and unmemorable action sequences. In addition to Krasinski, Abbie Cornish (Bright Star) and Wendell Pierce (The Wire) will return to reprise their roles as Ryan’s love interest and his boss, respectively. Noomi Rapace (The Girl with the Dragon Tattoo), Michael Kelly (House of Cards), Jovan Adepo (The Leftovers), Jordi Mollà, Cristina Umaña and Francisco Denis (Narcos) are the new additions to the cast for Jack Ryan season 2. Based on Tom Clancy’s fictional character of the same name, Amazon’s Jack Ryan series with Krasinski is the fifth incarnation of the character, after Alec Baldwin, Harrison Ford, Ben Affleck, and Chris Pine played Ryan on the big screen. Jack Ryan is an expensive production for Amazon, with season 1 episodes reportedly costing $8-10 million, per THR.